Yes, tax isn’t fun. But it is important. We like writing about tax as much most people like reading about it, but there are some things you must know. We have condensed the hit list to a few points. We like Obama and his wonderful speeches but his administration is responsible for The Foreign Account Tax Compliance Act called FATCA*. This tax legislation is likely to cause much paperwork for the average expatriate and was passed in the United States in 2010. 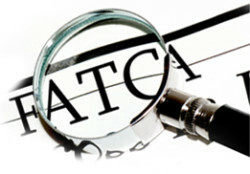 FATCA is intended to prevent “U.S. persons” from evading U.S. tax using financial accounts held outside of the United States. They probably had people like Mitt Romney in mind much more than the average American on a three stint in China, but, here we stand. FATCA implementation begins July 1, 2014. Non-U.S. (“foreign”) financial Institutions will need to identify and report all “financial accounts” for specified U.S. persons and certain U.S. owners of non-U.S. entities. Financial accounts include bank, brokerage and other custodial accounts. A permanent resident of the U.S.
You may also be considered a U.S. person if you spend considerable time in the U.S. in one year or over a period of years. U.S. corporations, partnerships, estates and trusts are also U.S. persons. Is every Financial Institution impacted by FATCA? Every non-U.S. (“foreign”) financial institution globally must comply with FATCA or potentially be subject to a 30% withholding tax on all U.S source income. We’ve heard that many non American operations have blanket banned Americans from having accounts or investments with them to protect from compliance problems. We’d love to hear your comments if you have had any experience like this. What does this mean to me as a US citizen? As long as you have been reporting your offshore bank accounts and investments there will be no change. If you have not been disclosing these accounts you should contact your accountant to determine what actions should be necessary to avoid substantial penalties. See, that wasn’t so painful, was it? *Not to be confused with FACTA which is for the Foreign Corrupt Practices Act.